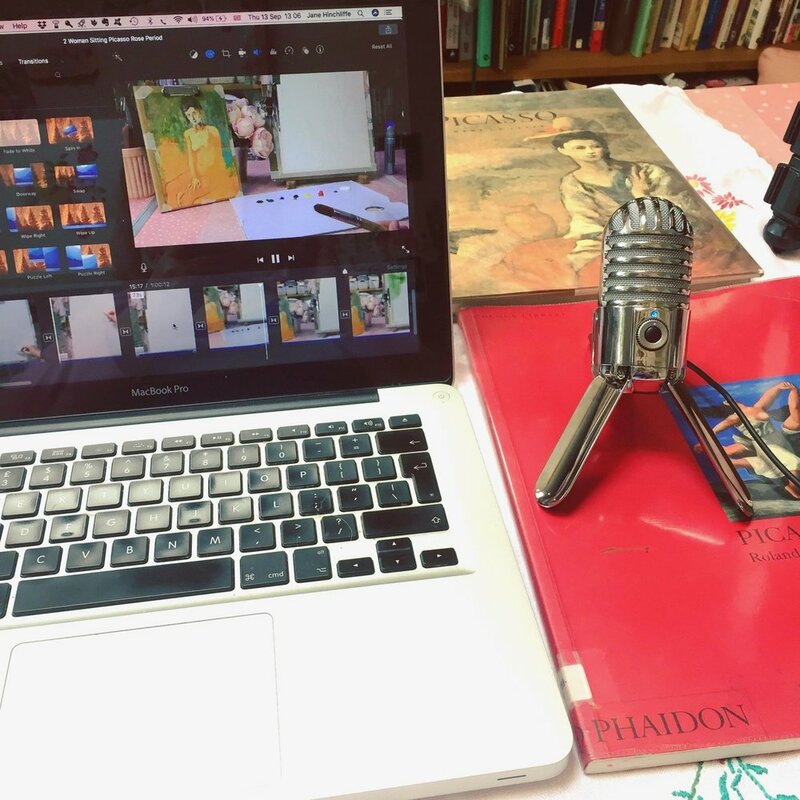 I just wanted to give you a quick reminder that my early bird offer of £35 on my Picasso online course will end on Sunday at midnight (GMT - London) - it will then increase to £49! Would you like to take a closer look and paint in the style of Picasso in his Rose Period? Join me in this online course as we look at the colours and style he worked with and then paint in ‘his footsteps’. We’ll be creating three beautiful portraits along with a bonus piece and warm up, all with the essence and flavour of Picasso. 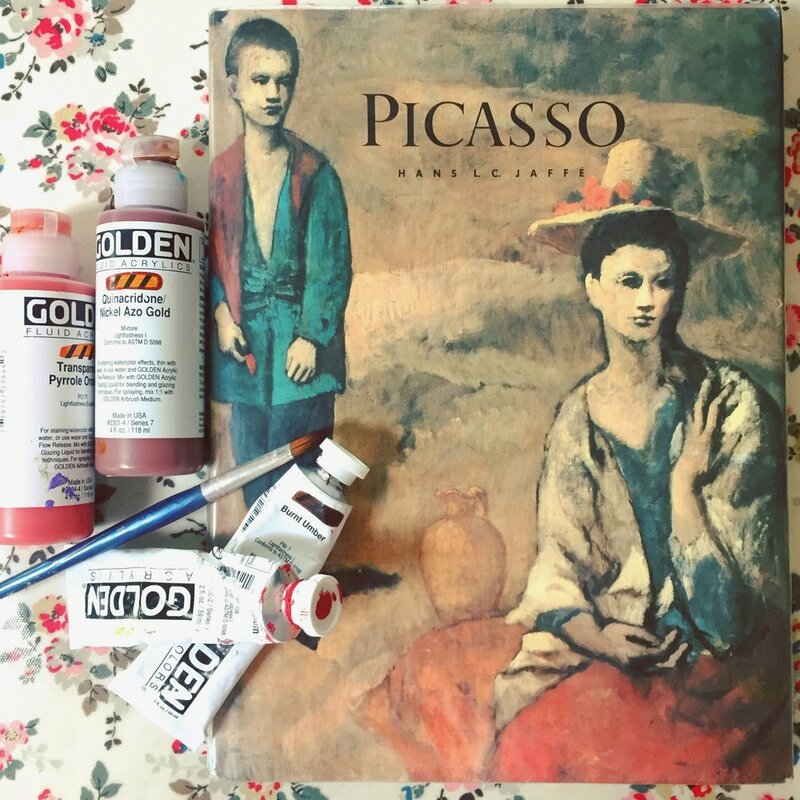 There’s always so much to learn in art and I just had to include a bit of the background to Picasso’s Rose Period - I promise, it will make his art come to life when you know and understand the back story. The classroom will open on Wednesday, 26th September 2018 with full and instant access. 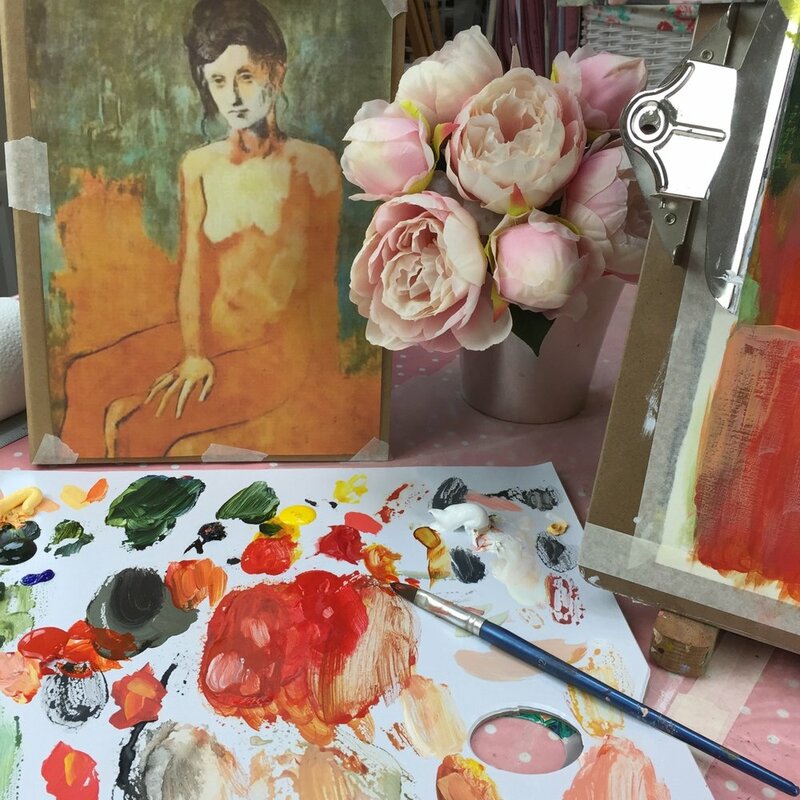 I'm excited to share that my latest class, A Painterly Jaunt Into Picasso's Rose Period has opened up for registration and is available for purchase at an early bird price of £35 (this will increase to £49). The classroom is due to officially open on or before Wednesday, September 25 2018. 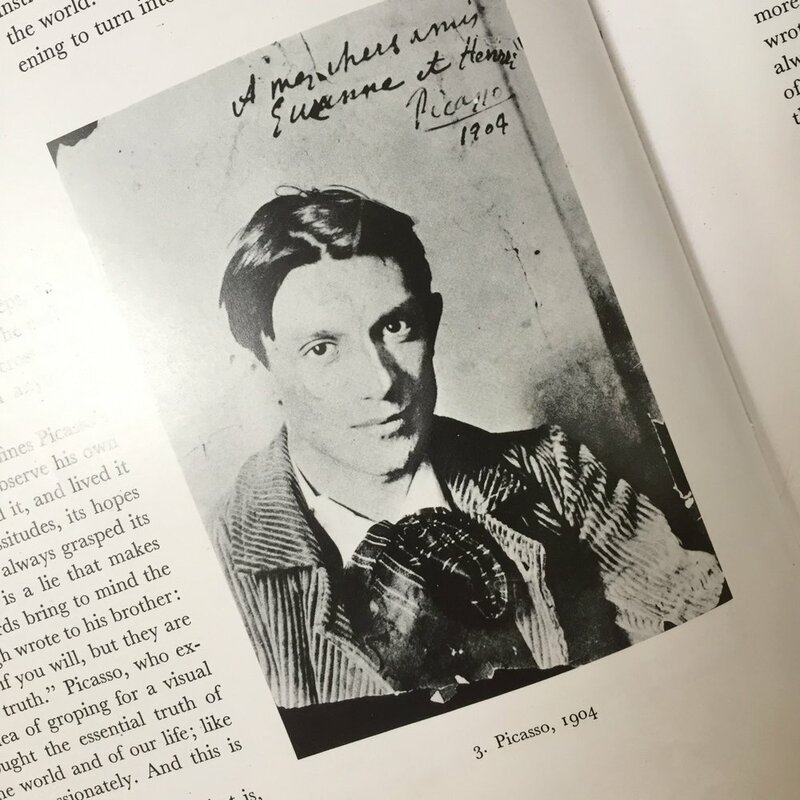 Why this new class on Picasso? Well, we've all heard of Picasso but not necessarily his 'Rose Period' which in French, 'Rose' means pink. This comparatively short time was from the latter part of 1904 until 1906 and came right after his Blue Period which marked a particularly difficult time for Picasso after losing a very good friend of his. The Rose Period saw the beginnings of a new relationship for Picasso and happier times, hence the change of palette to brown, oranges, red ocher and rose together with the change of focus/subject in his work. After delving into his paintings and being captivated by what I saw and painted, I couldn't wait to share this with you! This class is for anyone who would like to explore Picasso and be inspired by the way he used colour and evoked mood during his 'Rose Period'. 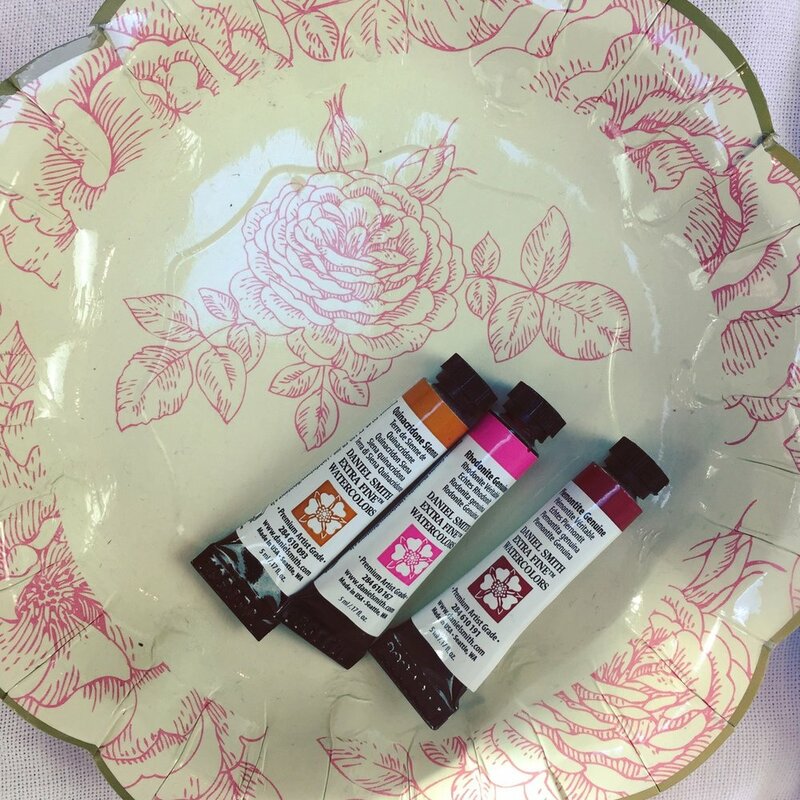 Enjoy creating paintings that feel tender and intimate, with warm colours and self expression. Take Picasso's lead and then 'go your own way, with me as I guide you. Sometimes you've just got to paint! I picked these patio roses from my garden yesterday and just had to paint them even though we were in the middle of a plumbing disaster zone! Whilst I was 'on call' to help my husband when needed, I threw together the piece below with such abandon and speed - it all happened in about 5 mins flat. I just had to do it! What struck me was how much better I felt after. It wasn't the greatest piece I've ever done by any stretch of the imagination - it was just a rough piece after all BUT it WAS a reflection of how I felt, what I saw and my energy in that particular moment and that's what's great about art and the beauty of expressing yourself. This friends, is what I want to encourage in my workshops - not necessarily the end product (unless you're wanting to sell your work of course) but the process along the way. Here are some questions to ponder and these answers will give you some insight into how to include more of 'you' into your work. What is it that delights you? What marks bring you joy? What colours light you up? What textures do you enjoy? It doesn't matter where you are in your artistic journey - maybe you haven't picked up a brush since the age of seven and you're scared of making a 'mistake'. I understand that and I was the same way but truly the benefits and blessings that we receive when putting brush to paper are numerous. So with all that said, if you would like to create loose, personally expressive and meaningful floral paintings at the beautiful Grassfield Hall on Friday, 7th July 10.30am-2pm, please book here and join us, I can't wait to create with you!